Back cover: "Buckle up for time travel, karate, and gambling in this action-adventure thriller. 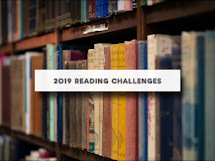 Matt McCain, a young man trying to overcome personal loss and family misfortune, and his amigo Juan, a Mexican orphan turned evangelist, are pitted against the Cyphers, a family that utilizes evil for every gain. The presence of Miss Guided, the angel who doesn't always get it right, changes them all. With more twists than a switchback trail, Re-Deal is a time traveling race against evil and misfortune. An 1882 poker showdown promises to change history forever, and Matt McCain aims to be the winner. But first he must match skills with the greatest cheaters of the Old West--from Doc Holliday to S.W. Erdnase. The players, the power, and the present all hinge on the journey back to 1882, a trip through time that Re-Deals history in a startling conclusion." 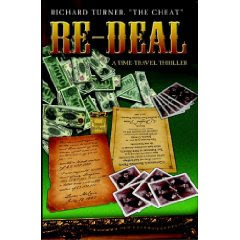 "Re-Deal: A Time Travel Thriller" is unique and interesting, very well written and amusing as well. With the help of an angel who calls herself Miss Guided, Matt and Juan travel through time in order right wrongs caused by some evil men that caused his great grandfather to lose everything. It is a battle of good and evil and a race through time with lots of tongue in cheek humor, smooth karate moves, drama, and poker. Lots of poker against world famous poker players who are very adept at cheating. One unique thing about our hero - he was blinded in a vicious attack by the bad guys and can only see out of the corners of his eyes. Life is the pits for Matt until Miss Guided's timely intervention in which he learns to protect himself, gain confidence and utilize all his senses in battling the bad guys. He uses all those senses to go against the bad guys in a battle of wits and poker. Highly recommended. I received Re-Deal courtesy of Lillie Ammann and enjoyed every single minute of it. She had an interesting interview with angel, Miss Guided and you can find it here. Thanks Lillie for sending me the book. I thoroughly enjoyed it. Genre: Mix of action, adventure, fantasy and time travel. "It turns out that Richard’s eye sight is 4 times worse than what is considered legally blind. I thought this gave Matt’s character an added layer of realism. So if you are looking for a fun read, definitely pick this book up."